The new 2017 Hyundai Tucson 4x4 Camper is attractive and spacious inside. The car is diesel and very economical. No fee for additional drivers and you can drive unlimited mileage! This car is extra equipped for camping* (See More*). 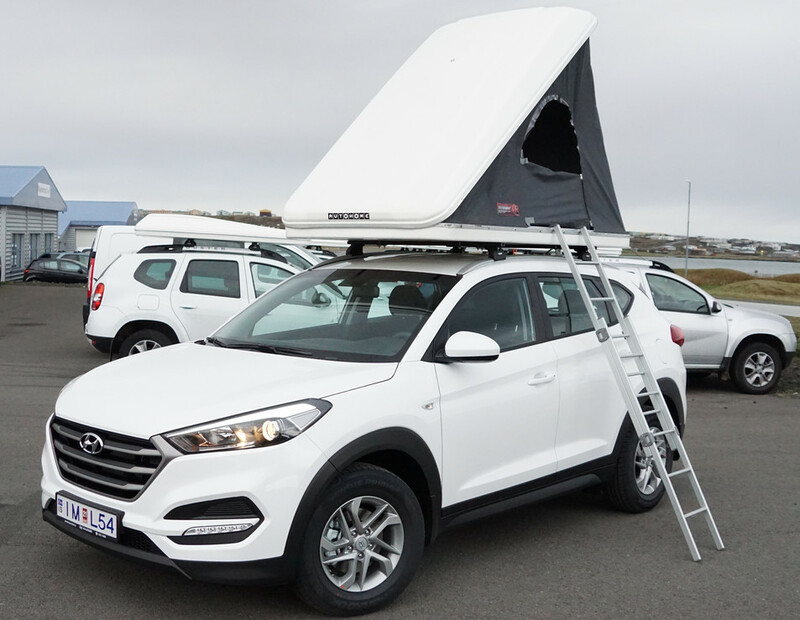 The new 2017 Hyundai Tucson 4x4 Camper is very popular for driving around Iceland and also on F-roads. Inside its attractive and spacious. The car is diesel and very economical. The engine produces higher levels of power and torque than ever before. Included in the prices are Collision Damage Waiver insurance (CDW) and taxes. No fee for additional drivers and you can drive unlimited mileage!